Betty and Janet Shine's Spiritual Healing Network; Healing Books and Spiritual Tapes Available. 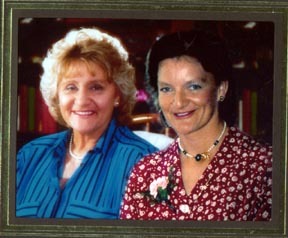 Betty, and Janet Shine formed the Global Healing Network, over twenty years ago. Each being a healer and generously giving of their own spiritual gifts; have sent spiritual healing, and hope to countless thousands; in their hour of need. Volumes of letters have been received over the years, and spiritual healing has been sent to each one. Requests for healing are always given individual care and attention. All letters are answered by Janet personally, and hand written. Every request is dealt with in total confidence, and letters are shredded and photos returned. Betty Shine was the world's #1 healer, without a doubt, among many other spiritual gifts - documented in all her books and tapes. Her daughter Janet Shine, follows through as a healer; possessing her own spiritual gifts, and aptitude for spiritual healing - she continues to take absent healing requests from around the world. 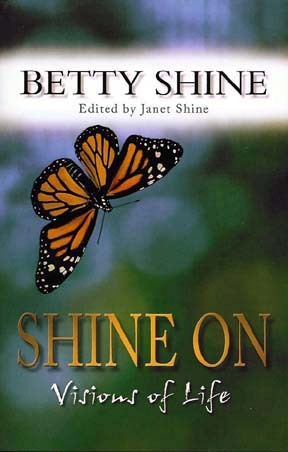 Betty Shine has also reached literally millions with her inspirational and dynamic best-selling books. Her words continue today; to the many readers of tomorrow, through her books and tapes. On March 26th, 2002; Betty Shine passed into Spirit. Janet - through her own spiritual gifts as a healer, continues all of the good work that she, and her mother have been doing for nearly two decades. Through Janet, Betty will still be healing and giving comfort to everyone world-wide. All of Betty and Janet's Tapes are now available online. Visit Our MP3 Page Today!